There are many good reasons for a website redesign, whether it’s a rebranding, moving onto a new Content Management System (CMS), the site is getting lackluster results or it looks like it was built in 1999 (eek). Whatever your reasons, a redesign can be a huge success — or it could fail terribly. After all, it’s a long and tedious process. 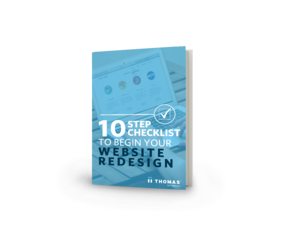 This checklist can help guide your refresh and set your website up for long-term success.